Happy Birthday, Today is Your Day. This is a very special day for you and no matter your age, 1 or 100, we are here to help make it a very special day for you. We want to turn this day into a long lasting party that you never want to leave. When you ride with us we will take extra special care of you and show you the time of your life. We will go the extra mile to make sure your day is special and you remember it for a long time to come. This is a day that happens only once a year and we understand you want to travel in style and spend this day being pampered to your heart's content. With that in mind you let us transport you to your party in style and on time. We want to help you celebrate this very special day. Just like a concert, or a sporting event, this is a very special occasion and we are here to get you there safely. Let us make your day, the day of your year. 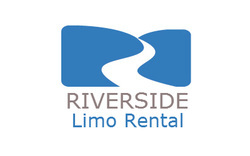 Look no further than Riverside Limo Rental. You can not compare us to any other limo company in town since we are not ordinary, we are extraordinary in. in what we do and how we serve you in the area of transportation. We like to cater to all ages so below you will find our services and how they may apply to your next birthday party. Whether you are planning a party at Chuck E Cheese, a local park, or having a house party we will make sure the birthday person is the star of the show. We have a wide array of vehicles to choose from so we know we will have the ride for you. No matter the location of your party, Riverside Limo Rental will get your there and be your chauffer's for your very special day. We have soft drinks, juices, and other appropriate beverages for birthday parties of this age group. We also take pride in getting our customers to their party safely. We know safety is very important and we take your safety and that of your children seriously. We will make sure to get your children to their party on time, in style and safely. Now for the older crowd, we have everything you need to enjoy your birthday with all the amenities available at your finger tips. We know you only live once and we go the extra mile to make sure you never forget this day and it is one of the best days of the year. We stock our limos with all the necessities from beverages, to mood lighting to stereo sound. When you get into our limousines and ride with us, when you exit you will feel like a star. We pride ourselves in treating you like a VIP. This is your special day so don't leave the transportation in the hands of just any company. Give us a call so we can make sure you have a memorable day. We hope you have a Happy Birthday and we look forward to taking you for a ride in style.